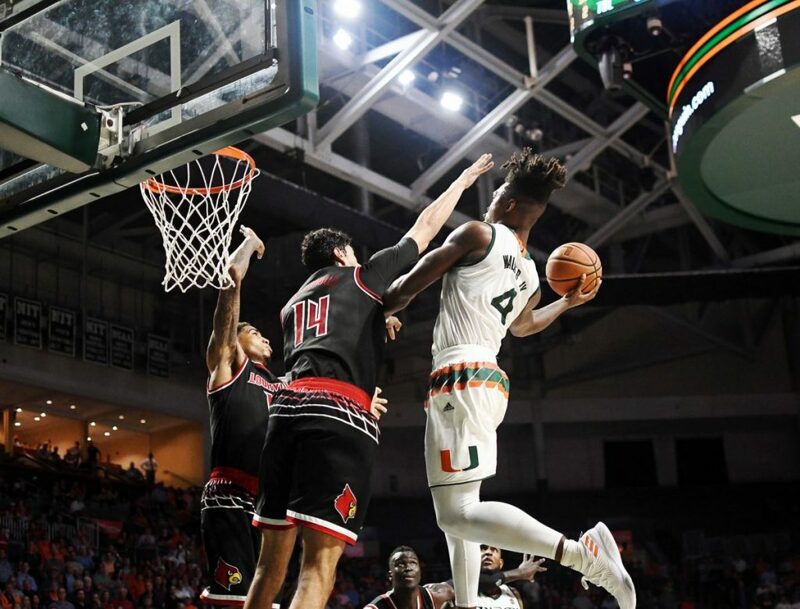 Lonnie Walker IV’s stock is rising with professional scouts, and there’s a growing chance that he will play in the NBA come fall 2018. After averaging just under 18 points and shooting 41 percent on three-pointers over his last seven games, the freshman and three-time ACC Rookie of the Week is projected to be selected with the No. 17 pick to the New Orleans Pelicans in the latest 2018 mock draft as of Feb. 5, according to nbadraft.net. Walker, who is from Reading, Pennsylvania, hasn’t talked about whether or not he intends to turn pro after the 2017-2018 season. But he is only looking better and more comfortable with each game, and if the trend continues, it’s hard to see him passing up a chance to be a high first-round draft pick. 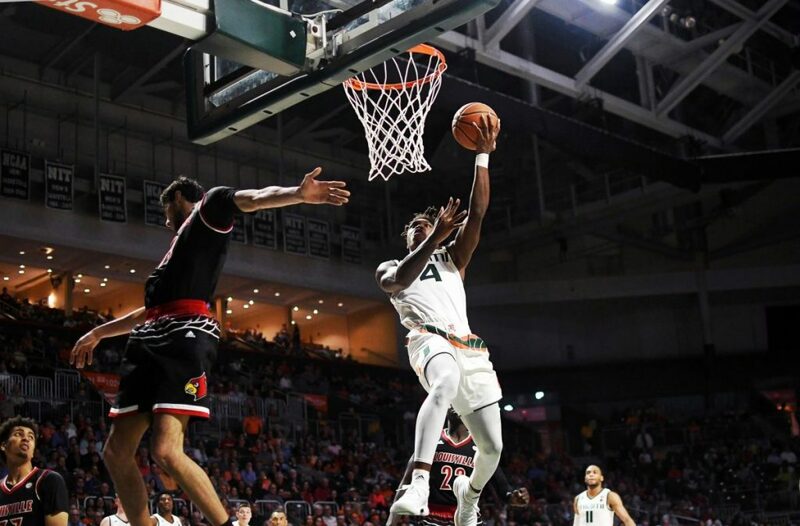 Walker could be the first Miami Hurricane ever selected in the top 14, which would make him the first lottery pick in program history. He would also be the fifth drafted in the first round. Walker, a consensus five-star recruit, was faced with high expectations from the moment he stepped onto the University of Miami campus. He hit a roadblock in July 2017 when he suffered a torn meniscus in his right knee that kept him out three months. The 6-foot-5 guard got off to a slow start during the first two months of the season, scoring just 8.1 points per game in 15 games. Some attributed his early struggles to the recovery process from his injury, while others associated them with the difficulty adjusting to the college game and coming off the bench. But Walker is a consistent starter now and has clearly found his rhythm. He has upped his intensity on both sides of the court and has led the Hurricanes in shot attempts in five of their last seven games. This new role has allowed him to flourish and take over on any given night. Given that he has NBA-level size, athleticism and scoring ability, the fact he is starting to put up big numbers shouldn’t surprise anyone. But what is extra impressive has been Walker’s capability to will a team to victory, which is a mentality that can’t be taught. In close game situations against Louisville, Pittsburgh and Virginia Tech, he took matters into his own hands, leading Miami with scoring runs all by himself. 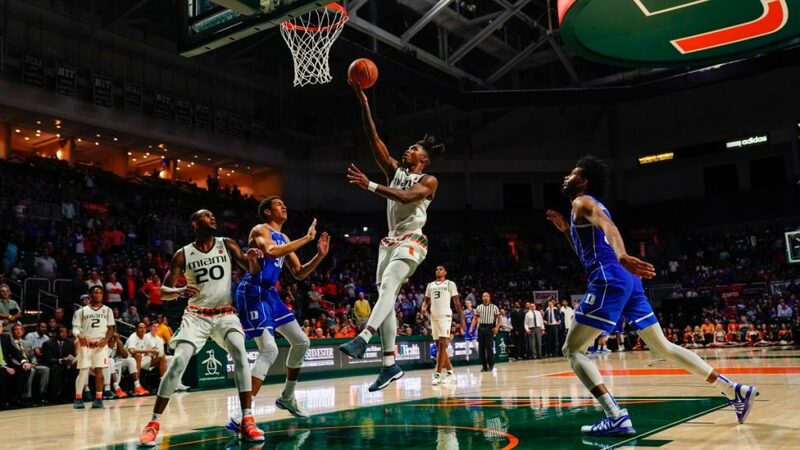 One of Walker’s late game shots against Pittsburgh came from the Miami court logo – a shot that would have been considered a long three-pointer even by NBA standards. It went straight through the center of the basket. He has impacted games on defense, too, providing game-saving blocks in back-to-back matchups against Louisville and Florida State. The NBA Draft is in June, and if Walker chooses to declare at season’s end, many teams will have their eyes on him.